Using this plugin, you can raise your website’s ranking in search engines (category page ranking). You choose key phrases or words for selected product category, type them comma (dot) separated. Comma is required in the end. This phrase will be displayed at the bottom of the category page. Plugin divides this phrase into parts (by dots and commas) and generates links to the parent category on pages of subcategories and products in this category. These links are kept forever. Google search robot finds this link, check whether it is static. If there are many such links (many products), it raises the category page in the search. We want iPad product category to be higher in the search. We add SEO phrase Buy iPad in New York, buy iPad in Washington, free shipping for iPad, buy iPad. Plugin divides it into parts (by dots and commas). Each block is typed with a capital letter and a dot in the end of the block. Buy iPad in New York. Randomly (but proportionally) these blocks will be assigned to products and groups in this category. If you open iPad mini 4 product page, a link to the parent category will be visible at the bottom with text: Buy iPad in Washington. (dot in the end). This link will be static, it will be kept. You can change SEO phrase for the category. Buy iPad in New York, buy iPad in Washington, free shipping for iPad, buy iPad. Buy iPad in New York, buy iPad in Washington, buy iPad , buy iPad in Chicago. Plugin will find all products for which links Free shipping for iPad. were assigned and instead will assign a new link Buy iPad in Chicago. 3. You can set SEO-phrase links for each product and category. Demo version is fully operational. 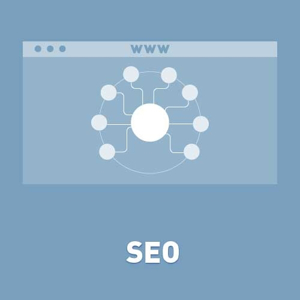 It has only one limitation – 10 SEO phrases. Registration removes this limitation. Compatible for NopCommerce 4.10, 4.00, 3.90, 3.80, 3.70, 3.60, 3.50, 3.40, 3.30, 3.20, 3.10, 3.00.